Members of the Sri Lankan expatriate community in Toronto were briefed recently on a project to establish the world’s first ever eco-friendly palliative care hospital in Anuradhapura, Sri Lanka by an Australia based charity organization, Shanthi Foundation. The hospital which will be equipped with an in-patient unit with 40 beds for Chronic Kidney Disease (CKD) and cancer patients, as well as a clinic for such outpatients. Founder and Chairman of the Shanthi Foundation Dr. Suharsha Kanathigoda, a Sri Lankan born specialist on palliative care travelled to Toronto recently to enlighten Sri Lankan expatriates in the Greater Toronto Area on the importance of palliative care and to solicit their collaboration for this hospital project, following the signature of an MOU with the Ministry of Health in Sri Lanka in August 2017. The Consul General of Sri Lanka in Toronto U. L. Mohammed Jauhar graced the occasion as the Chief Guest. Palliative care, which has recently been recognized as a basic human right by the United Nations, is provision of physical, emotional and spiritual comfort to patients with life limiting illnesses such as CKD and cancer and to encourage patients to live their life to the fullest with dignity. Speaking at the event to brief the Sri Lankan expatriates, Dr. Kanathigoda said that the vision of the Shanthi Foundation from its inception five years ago has been to build the first Palliative Care Hospital in Anuradhapura, and to propagate and develop palliative care throughout the world. Addressing the gathering, Consul General Jauhar said that the government spends 2.8% of GDP on provision of health care and that Sri Lanka’s health system has a long track record of strong performance. 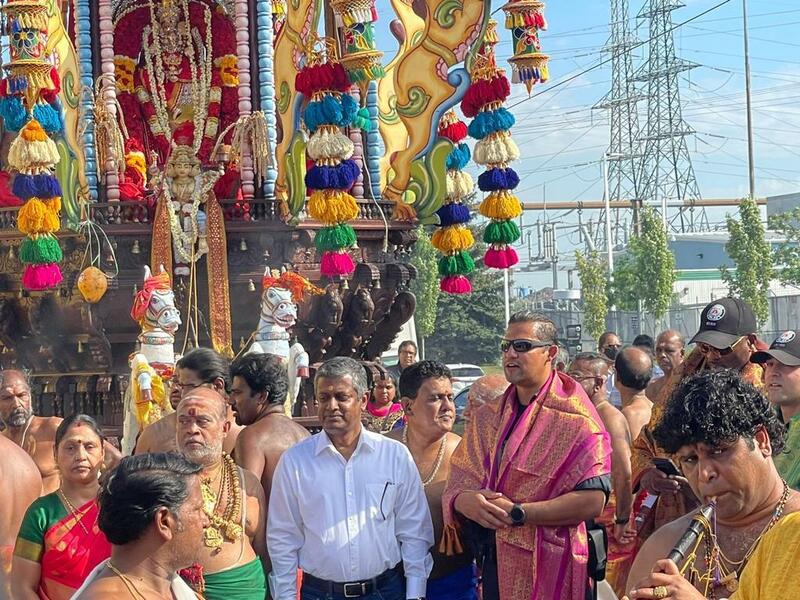 He said that he was alarmed to have learnt that forty percent of Sri Lankans could be affected by year 2032, if the current rate of CKDu prevalence is not addressed on an urgent basis. The Consul General also commended the Shanthi Foundation, its chairman Dr. Kanathigoda, directors, members and other volunteers, for their benevolent services. 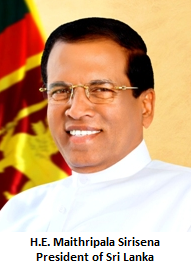 He appealed to the members of the Sri Lankan community to wholeheartedly support the Foundation’s programmes that include the hospital project, training medical professionals, parent and family sponsorship programme, clean water for life project with installation of 40 reverse osmosis machines in the CKD affected areas, and organic Kenda programme, that are carried out in coordination with and support of the Sri Lankan authorities. He suggested exploring the idea of setting up a Canada chapter of the Foundation. The presentation made by Dr. Kanathigoda was well received and many who were present, positively responded and agreed to contribute towards this worthy cause. Dr. Kanathigoda is a senior staff specialist of the Calvary Health Care & Clare Holland House of Canberra, a clinical lecturer at the Australian National University Medical School, and also the Director of Palliative Care in the Australian Capital Territory.